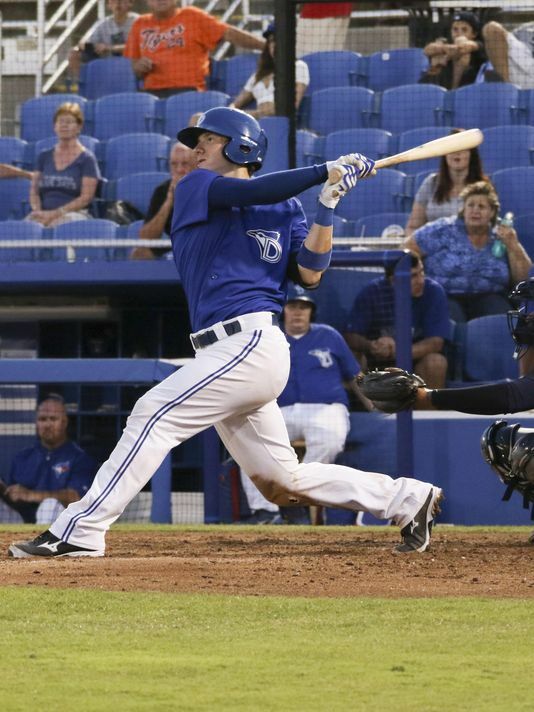 Dunedin Blue Jays Catcher Danny Jansen hit a pair of Home Runs in the same inning on Sunday, and announced his arrival as the Blue Jays Catcher of the Future. The two long balls were part of a 4-5, 11 total bases day at the plate for the Appleton, WI native, who leads the Florida State League in hitting with a .394 average, and is in the top five in most offensive categories. More impressively, he puts the ball in play, (8.8% K rate this year), and his 25% line drive rate shows evidence of hard contact. 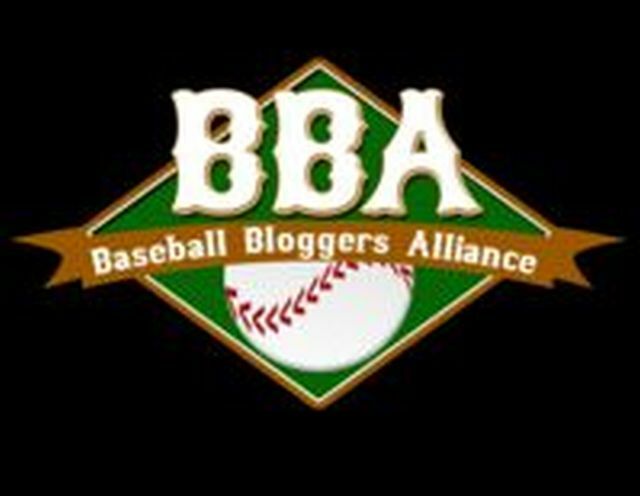 It's a small sample size, but a viewer of Dunedin's three game series against the Pirates' Bradenton affiliate this weekend saw a lot of hard-hit balls off of Jansen's bat. His power is mostly to left, but Jansen uses the whole field. This breakout season has been a long time coming for the 2013 16th rounder, who was viewed by many as a steal in the Alex Anthopoulos/Blake Parker look-for-prospects-in-non-traditional-places era. Jansen had a decent season at the plate at short-season Bluefield in 2014 (.282/.390/.484 in 38 games), but his career thus far has been marked by an inability to stay healthy. He has missed major chunks of time in every pro season (2014 - knee injury, 2015- broken Catching hand, 2016 hamate bone removal), but his performance last fall in the Arizona Fall League (where he held his own against advanced competition) and so far this year indicates that he's making up for lost development time in a hurry. I started wearing them after the season last year into the fall. They are fantastic I was never good at putting eye drops in my eyes and I tried contacts but they weren't for me, so I stuck with the glasses. Jansen admits that the new eyewear has helped him on both sides of the ball this year. "They have helped big time," he said. "I can see spin much better, helping me behind the plate as well." Jansen has never found himself near most Blue Jays Top 10 prospects during his career, which is mostly attributable to his truncated service time. And entering this season, he was only the third-ranked Blue Jays Catching prospect, behind the recently-acquired Reese McGuire, and 2014 1st rounder Max Pentecost, who has had injury problems of his own - Pentecost just resumed Catching duties last week, donning his mask for the first time in almost three years, sharing time behind the plate with Jansen (Jansen's big day at the plate came while he was DHing). Jansen has shown a better bat this year than McGuire, and is far ahead of Pentecost in terms of his defensive development. In a way, he combines the best of both - Pentecost's skills at the plate, and McGuire's behind it. The trick for Jansen, of course, is to stay healthy and in the lineup for a prolonged period of time. He is repeating Dunedin this year after suiting up for only 54 games last year, and 46 (with Lansing) the year before. With the glove-first McGuire ensconsed above him in New Hampshire despite a .216/.311/.373 line so far, and Pentecost putting up numbers almost comparable to Jansen's so far (.344/.368/.622) but unable to assume full-time Catching duties, the Blue Jays are likely going to be content with keeping Jansen healthy and have his bat in the Dunedin order on a daily basis. Sharing time behind the plate with Pentecost should do a great deal to help keep him on the field. McGuire may never hit enough to be more than an MLB back up, and the possibility of Pentecost moving off the position still has to be considered high. Jansen has the skills and the build to handle a major league pitching staff, and this year he has finally shown that while he still has yet to prove that he could be a middle-of-the-order bat, he has started to demonstrate that he can handle a bat just the same. With Russell Martin's contract with two years to run beyond this campaign, there's every chance we see Jansen in a Blue Jays uniform at some point in 2019 or the following year.